Christopher Nolan is very sorry for all the mean things that he’s said about Netflix lately, an expression of contrition that in no way stopped him from following his apologetic remarks with yet another slam on the company’s upcoming plans, because he hates them. But none of that respect stopped Nolan—whose films and public comments both make a consistent argument for the primacy of the theater experience—from then immediately pivoting back to slamming the company’s plans, which include efforts to cut the currently contractually-mandated window between when a movie runs in theaters, and when it inevitably makes its way to streamers. 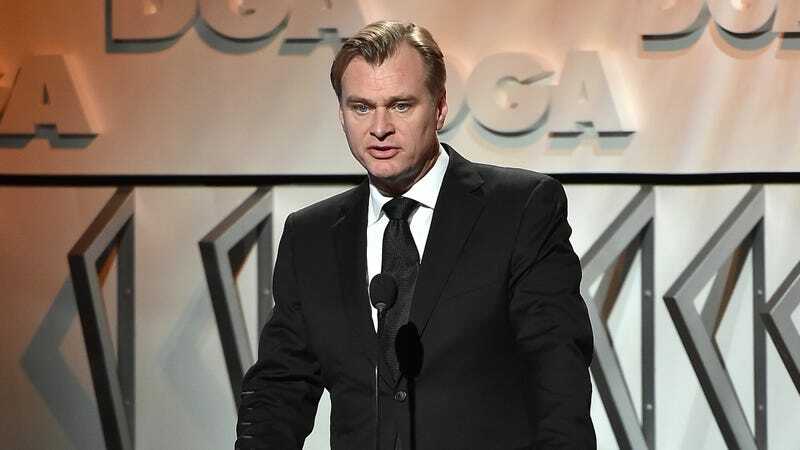 “My entire adult life they have released straight-to-video films,” Nolan noted, adding, “As a filmmaker, when I was starting out in the ’90s, your nightmare was the straight-to-video release. There’s nothing new about it—what’s different and new about it is selling it to Wall Street as innovation or disruption.” And, thus, having finished his current apology by comparing Netflix’s upcoming cinematic output to putting a con-man’s spin on a direct-to-DVD Air Buddies release, Nolan dashed off, presumably to prepare for a new apology tomorrow.